You must be looking for the Division 2 best and destructive guns and we would not let you down. We have got full information about deadliest Division 2 weapons and we will be talking about the same. 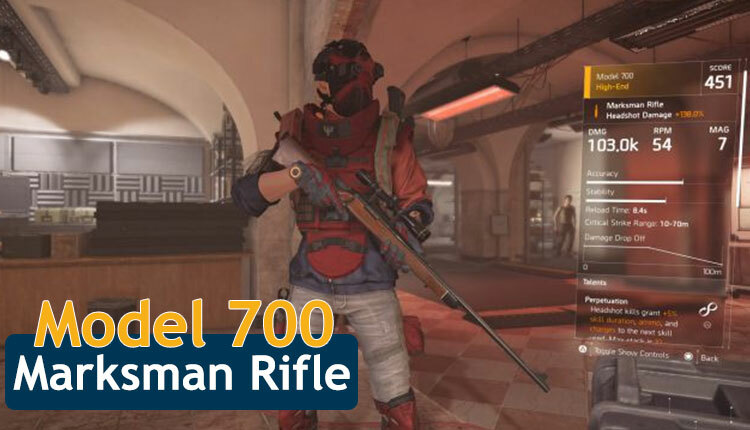 As we have explored plenty of times playing the game and having used almost all the rifles we will make all possible efforts to give the right information in this guide. Here is a list of Division 2 best weapons for every scenario. Talking about weapons, it has several tiers of weapons including Worn (white), Standard (green), Specialized (blue), Superior (purple), High-End (Orange), and Exotic (red-orange). Four among them have special talents which are basically assigned to enhance their capabilities. 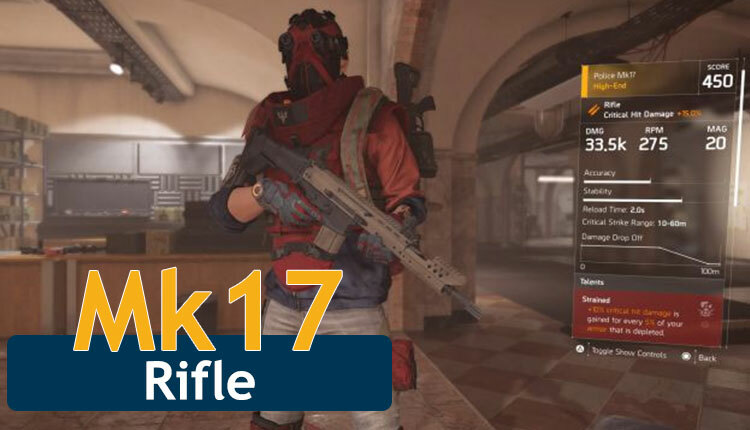 We have shortlisted 7 best Division 2 guns in this guide that we have discovered as of now. 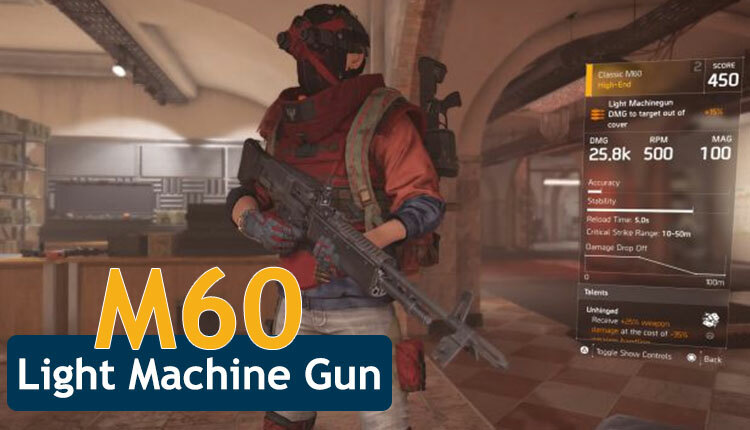 It is one of the best weapons to start the game, The M60 LMG is superb. We often not find LMG more powerful for a long-range fight as the kickback on them is insane. However, M60 causes terrific damage in a second. You would not believe it can fire 100 bullets in a single load. The Model 700 came into effective on April 5, but that does not stop it from grabbing the position in the list of Division 2 best guns. Talking about its reload time and power, it takes many times to reload and is not as powerful as M700 Cabon and Tactical. It does not mean you can not fight enemies with this gun, you can kill them before they learn which weapon are you using. You would love to begin VX1 Scope with the 12x magnification, especially when it applies +30% headshot damage, but we have earlier told you that it takes too much times to load. If you can put up with the absurd reticle with the CQBSS Scope (8x), definitely switch because it has +35% headshot damage in exchange for -20% accuracy. You must have used this P990 model and there is no doubt about its power. It always turns out to be the best in many online shooters and nothing different in The Division 2 as well. According to reports, it fires at least 60 bullets in a second and causes constant damage without reloading it for the second time. Notably, it is one of the most recommended weapons as it has the highest RPM and DPS in the class. Throw a Reflex Sight on the P90 and focus on to increase your critical hit chance and you’ll have to deal with much more damage than the stats would imply. 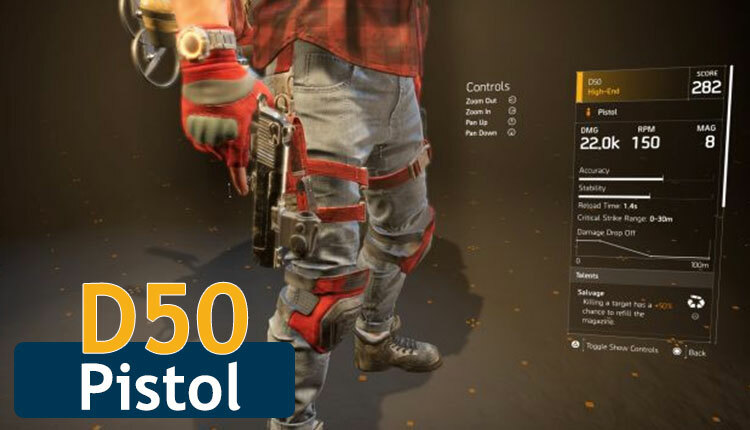 You should know that every all the weapons in The Division 2 are very similar DPS and you will find the best among them after using them extensively. 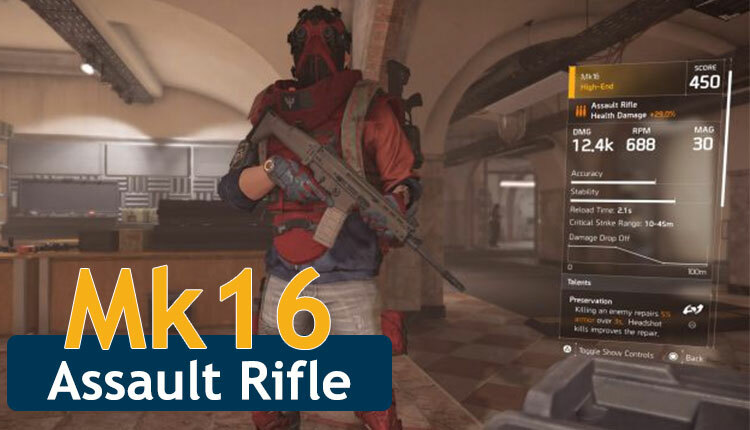 Having said that, MK16 is one of the best guns that have a long range and if you are using it along with similar to like an SMG because the other Assault Rifles would leave you stuck with these weapons that perform the same job. In order to target which is located on a longer distance, it has one of the slowest RPM rates in the class at 625. It has better accuracy and stability which can easily destroy enemies from mid-range. If you want to use close range Assault Rifle, you should opt for FAMAS or the P416. The P416 the former has the highest RPM in the class (alongside the CTAR) while the latter combines a fast RPM with a high damage stat for a decent all-rounder. This Mk17 also came into effect on April 5 and it turned out to one of the best rife in The Division 2. It is also likely to bring more in line with other guns, there’s a chance it will be seen on the top. 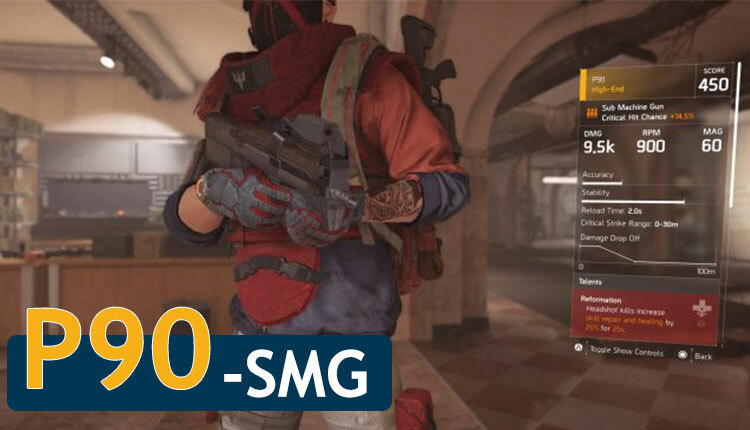 In the game, it was possible to find a PvE Mk17 with upwards of 40k damage while the other Rifles were sat in the 20k range, but this nerf should only take it down to around 30k, reported GamesRadar. It is to be noted that Mk17 is quite good at headshots as it is one of the slowest RPMs in the class, so it can almost fill the same role as a Marksman Gun. It has the power to explode enemies head before you switch to something suited for a short range. 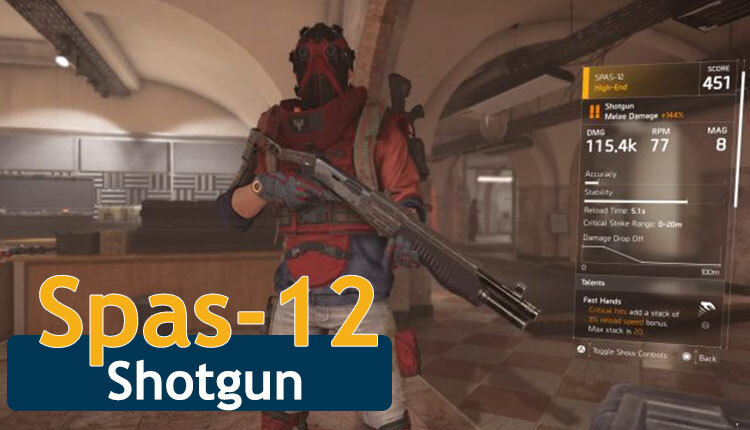 Spas 12 is also one of the best rifles you can use playing the game. It is touted to be the second highest damage pistol after Double Barrel. It is to be noted that it only holds two shells at a time. The Spas-12 has eight so you can output solid damage providing you can hit all your shots. Talking about its drawback, Spad 12 does not reload quickly as it improves the slow reload speed by 30%. In exchange, you lose 10% critical hit chance but on a single shot gun, critical hits are much less important. The D50 model is far better than any other Rifles in the game as its each bullet deal with insane damage. When you can have a hand cannon as your third weapon that deals with so much damage then why you would’s you? You should know that D50 Model pistol takes only two seconds to get it reloaded. It will make reduce your half of time killing enemies in a shorter time. Stay tuned and follow this space for more new update about The Division 2.